When shopping for a new laptop that delivers solid gaming performance, don’t forget about Acer. The brand offers some really nice gaming PCs that come with a good battery life, superior cooling technology, and VR-ready configurations. One particular model to consider is the Acer Predator 15 G9-593-77WF, with its IPS display featuring GSync technology, room for 64GB of memory, 8GB NVIDIA GeForce GTX graphics, and an Intel Core i7 processor. This type of configuration is a must when playing your favorite games. Don’t get behind on the competition. With a computer like this, it will be very easy to stay ahead of the game .You can easily enjoy other entertainment as well, as there will be no problem streaming movies, music, and 3D content. The 15.6-inch display has a matte IPS screen, which offers decent brightness and good contrast. It is full HD and has a screen resolution of 1920 x 1080. There is no flickering above the brightness setting of approximately 90%. With turbo technology, the Intel Core i7 Kaby Lake processor can reach up to 3.4-GHz, 3.6-GHz, or 3.8-GHz depending on the number of cores it comes with. This particular model is i7 6700HQ. What about the storage solution? The Acer Predator 15 G9-593-77WF is equipped with a superfast PCIe / NVMe-SSD drive by Samsung. If you opt for the M.2 model, you’ll have a total capacity of 256GB. The cheapest configuration is a 1TB Serial ATA. This PC also stands out thanks to its optical drive, which is something that is becoming increasingly rare for laptops these days. As mentioned above, the GeForce GTX (1070) has dedicated 8GB of graphics memory technology to ensure speed and performance in games. Thanks to four memory slots, the 16GB can be expanded all the way up to 64GB. Built-in devices include a microphone and HD webcam with 720p HD audio and video recording and 1280 x 720 resolution. The keyboard features some really nice backlighting in colors like blue, red, and green. You can change the backlighting in four different zones. The way the Predator 15 is designed allows for it to remain cool and quiet at all times, even during heavy gameplay. Features like Predator DustDefender, an ultra-thin 0.1-mm all metal fan, AeroBlade technology, and advanced aerodynamics keep dust from building up. Killer DoubleShotTM Pro helps prevent any lag. With this technology, you can select which applications get the most bandwidth. 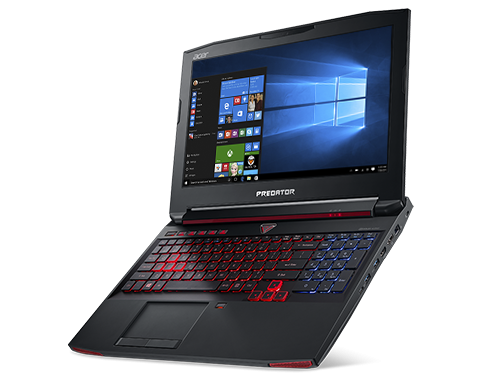 Now that you know what to expect with the Acer Predator 15 G9-593-77WF, you might want to consider buying it as your new gaming laptop. 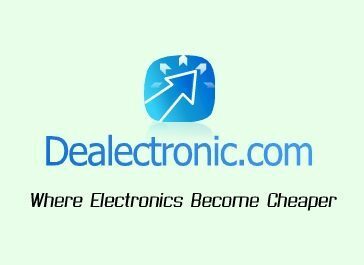 There are some good deals online on not only the laptop itself but on the accessories you need for it. What kinds of deals are available? Start looking at Acer promotional codes and see. Don’t miss out on your chance to own the Acer Predator 15 G9-593-77WF; reviews are really praising it as an excellent gaming laptop. Posted in Acer Laptop Reviews, Acer PC Reviews, Laptop Reviews and tagged acer, acer laptop, acer predator 15 g9-593-77wf, laptop.